In reality, Israel's gun policy is living proof of the arguments the American gun lobby has been making for years. 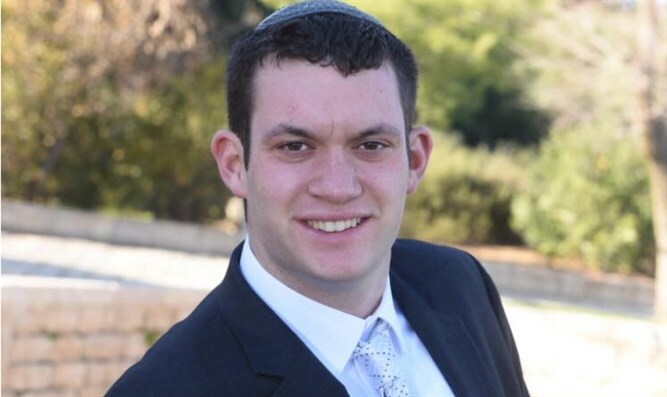 Tzvi Lev is a former journalist at Arutz Sheva and served as company sergeant in an IDF combat unit. He is currently studying towards a degree in Arabic and Middle Eastern studies at Ariel University. Wednesday's horrific shooting in Florida has reignited the gun rights debate in the United States over the Second Amendment to the US Constitution, adopted in 1791, which states:: "... the right of the People to keep and bear arms shall not be infringed." In the past, proponents of limiting civilian access to firearms have extolled Israel as having the proper approach to limiting mass shootings, pointing to the numerous legal hoops Israelis must jump through in order to be granted a gun license. "In Israel, gun ownership is a privilege rather than a right," wrote Public Radio International in November. "There is no such thing as a right to bear arms in Israel," the Huffington Post preached after the 2016 shooting in an Orlando nightclub that left 50 dead. Newsweek praised Israel for obligating its citizens to "show genuine cause to carry a firearm, such as self-defense or hunting". The message is clear: Israel has the right approach in curtailing access to firearms, and the United States would be well advised to tread the same path. Gun rights advocates contend that the way to stop mass shootings is by ensuring that there are always well-armed citizens present who can neutralize the shooter. As NRA chairman Wayne Lapierre always says, "The only thing that stops a bad guy with a gun is a good guy with a gun". A bedrock of the NRA's philosophy is that criminals will always acquire guns illegally, and draconian gun laws only render law-abiding citizens defenseless. When the knife intifada erupted in September 2015, the Israeli government's response was to ease the process for the civilian populace to obtain weapons. Enter Israel: When the knife intifada erupted in September 2015, the Israeli government's response was to ease the process for the civilian populace to obtain weapons. After a particularly bloody Jerusalem shooting attack that killed four, then-Public Security Minister Gilad Erdan drastically changed the gun laws in order to significantly raise the number of armed civilians on the streets. Instantly, graduates of Special Forces units and IDF officers with the rank of Lieutenant and above were permitted to purchase guns at their will, security guards were allowed to bring their guns home after work, and the minimum age for a license was reduced from 21 to 18. Erdan explained that "civilians well trained in the use of weapons provide reinforcement in the struggle against terrorism", while Jerusalem Mayor Nir Barkat called for every resident to carry a gun, and was even photographed traveling the city carrying a Glock 23. In addition, the overwhelming majority of terror attacks in Israel are stopped by armed civilians, not law enforcement. For example, the terrorists in the 2016 Sarona market attack were stopped by armed passersby. A pistol-carrying tour guide put an end to the 2017 ramming attack in Arnona that left four soldiers dead. 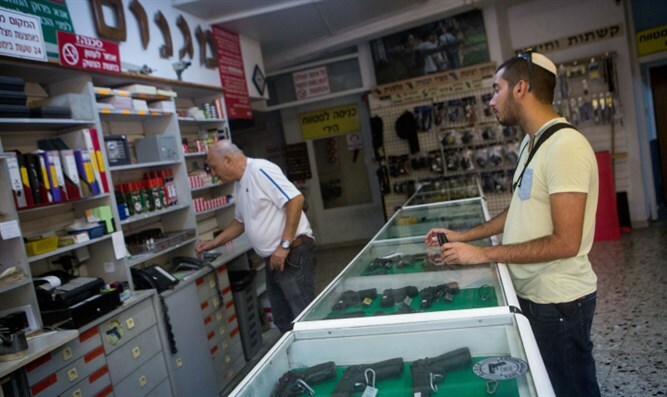 In Israeli eyes, guns are a valuable deterrent against terrorism. In fact, terrorists have told the Shin Bet internal security service that they often target haredi Jews due to the high likelihood that they are unarmed. Gun control supporters would answer that the mandatory military service that every Israeli undergoes justifies the trust Israel has of its citizens. However, this argument doesn't hold water. The vast majority of IDF soldiers aren't combat soldiers and are certified as 02 riflemen. To be 02 requires one to shoot between 40 and 70 bullets. The pistol course needed to obtain a license takes less than four hours. It is a far cry from the highly trained population that the Left imagines. Gun control has been proven to be a dismal failure in Israel. The Israeli Arab communities are rife with illegal weapons, with some police estimates putting the number of unlicensed weapons in the Arab sector as high as 500,000. Think about that for a second: The most heavily guarded borders in the world and a highly professional Shin Bet are still not enough to prevent criminals from obtaining illegal firearms. When terrorists attacked a school in Maalot in 1974, Israel did not declare every school a gun-free zone. It passed a law mandating armed security in schools, provided weapons training to teachers and today runs frequent active shooter drills. There have been only two school shootings since then, and both have ended with teachers killing the terrorists. It is an approach that the Americans should take to end the constant slaughter of innocents.